This statistic displays use penetration of internet connected devices in the United Kingdom (UK) in 2014. 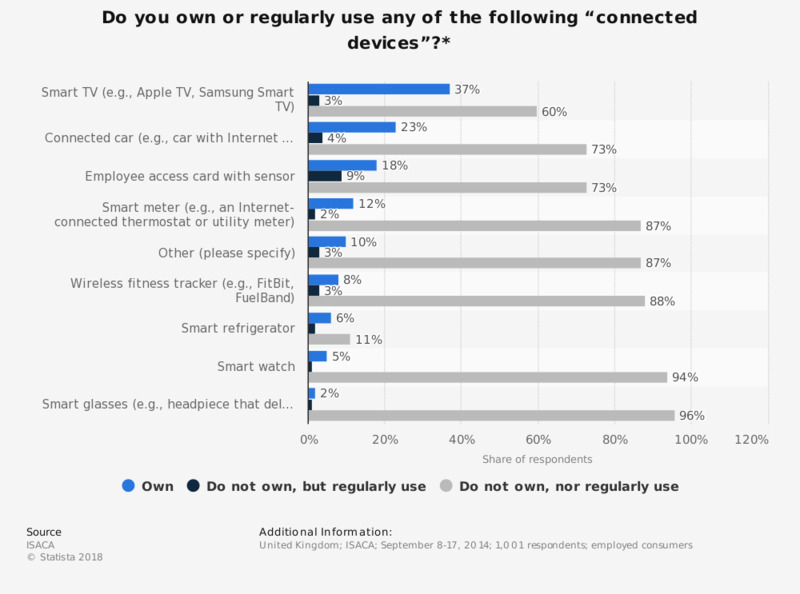 Of respondents, 37 percent reported owning a Smart TV. Meanwhile, 3 percent of respondents reported using a wireless fitness tracker, such as a FitBit or a FuelBand regularly. * “Regularly” is defined here as using the device one or more times weekly. Online surveys were fielded by M/A/R/C Research.